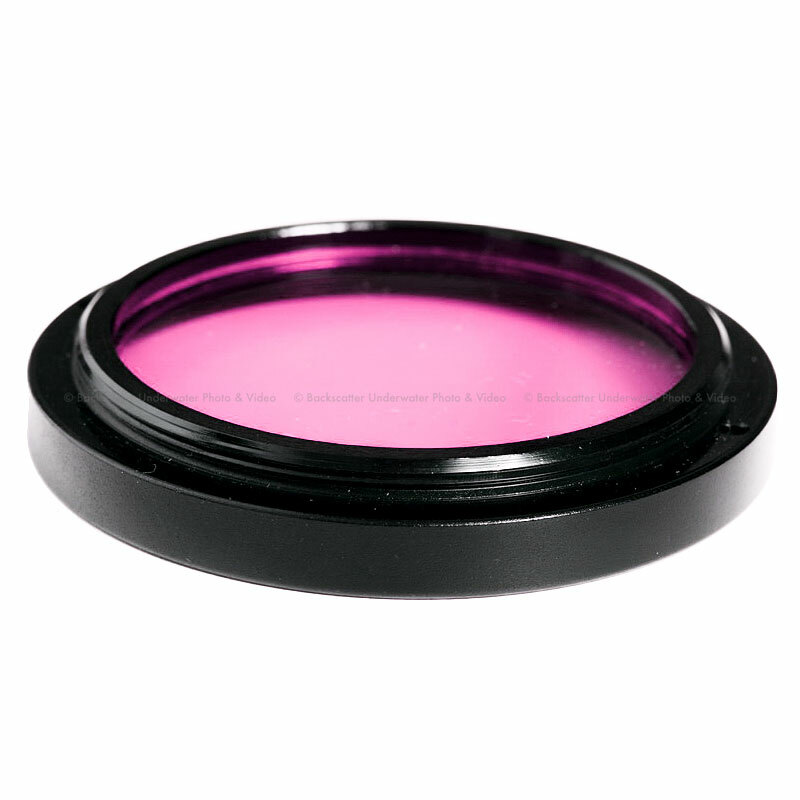 Pink Filter with a 46mm thread which fits over the housing's port and can be installed and removed during the course of the dive. The PinkEye Filter is used to restore the pink color absorbed by green water and allows for producing vivid and colorful underwater images and videos. In shallow depths, this filter can serve as an attractive alternative to artificial light sources. Can be mounted on 46mm threaded lens ports or other lens ports by using an adaptor.